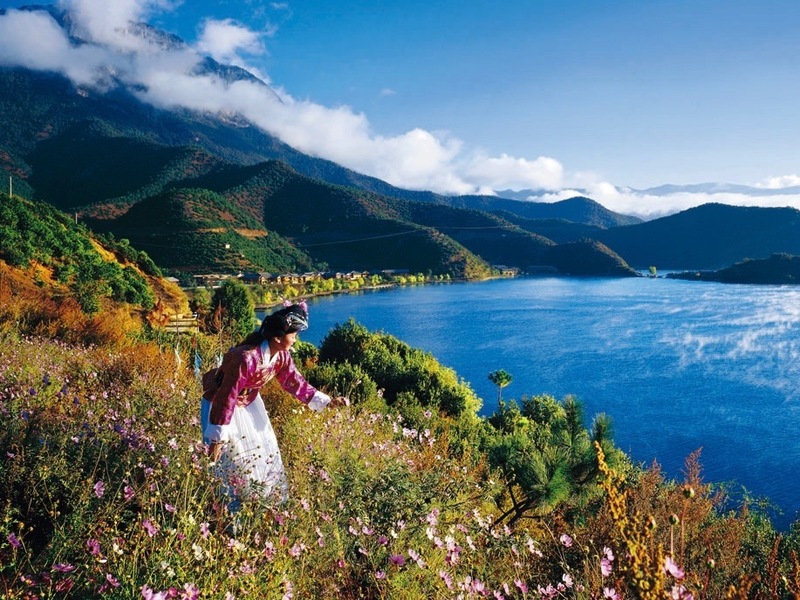 A spectacular land of blue sky, white clouds, stunning scenery and a fascinating cultural potpourri of ethnic minority groups, Lijiang is one of China’s most fascinating cities. Located in Yunnan Province, the cobblestone lanes of Dayan Town – the historic heart of Lijiang – are a Unesco World Heritage Site overlooked by the jagged ice peaks of the massive Yulong Snow Mountain, home of the local Naxi people’s protector god, Sanduo. Let’s get the obvious one out of the way first. 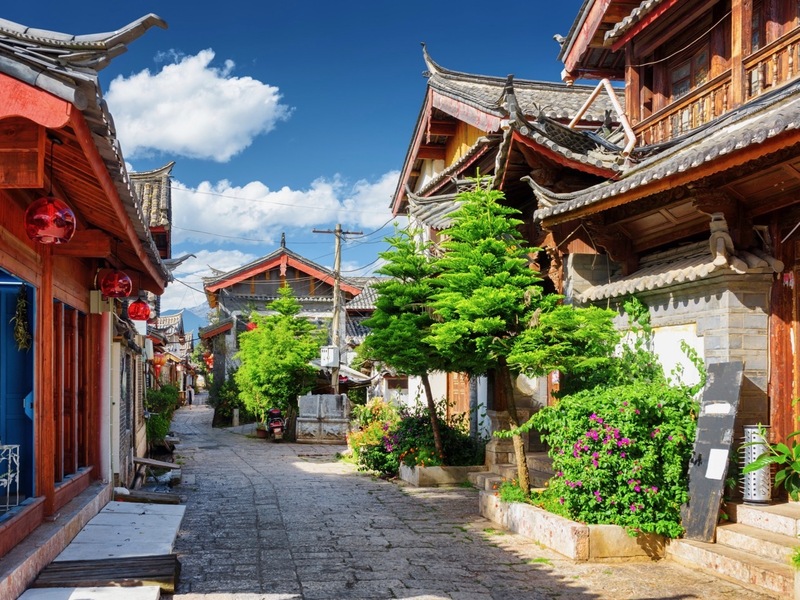 Lijiang Old Town is a tourist’s ideal, a picture postcard combination of cobbled streets, traditional wooden buildings and sleepy canals fed fresh water from Yuquan Spring at Black Dragon Lake. The waterways, ponds and wells have continued to be an integral part of the city down the centuries, even after the introduction of piped water. For centuries this was the capital of the Naxi, a people of the Qinghai-Tibetan plateau who had settled in the area by around the third century CE. The old town is a warren of lanes and streams which nurture more than 6,200 households. While Naxi culture dominates, a large part of the town’s attraction is its multiethnic tapestry, in which, from music to architecture, Naxi meets Han and Bai styles in a unique fusion. 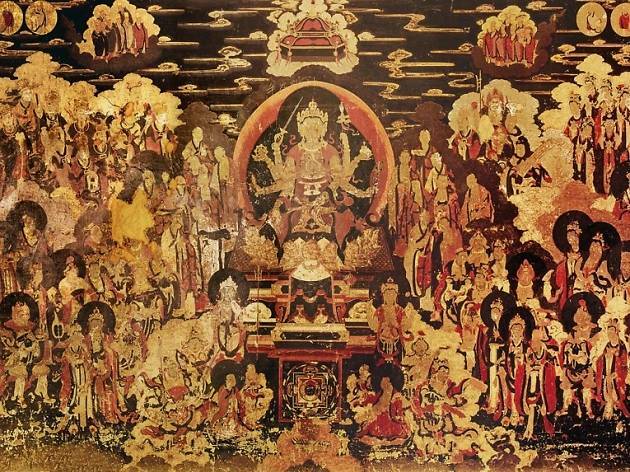 For 700 years Mu’s Palace was the centre of politics, power and wealth in the Naxi kingdom. Covering some eight acres, the palace and its courtyards bear a strong resemblance to Beijing’s Forbidden City, albeit in miniature. Home to many wonderful buildings – which contain sutras, paintings and famous calligraphy works – the palace is a must-see. A jewel set beneath Elephant Hill, Black Dragon Pool is the heart of Lijiang. 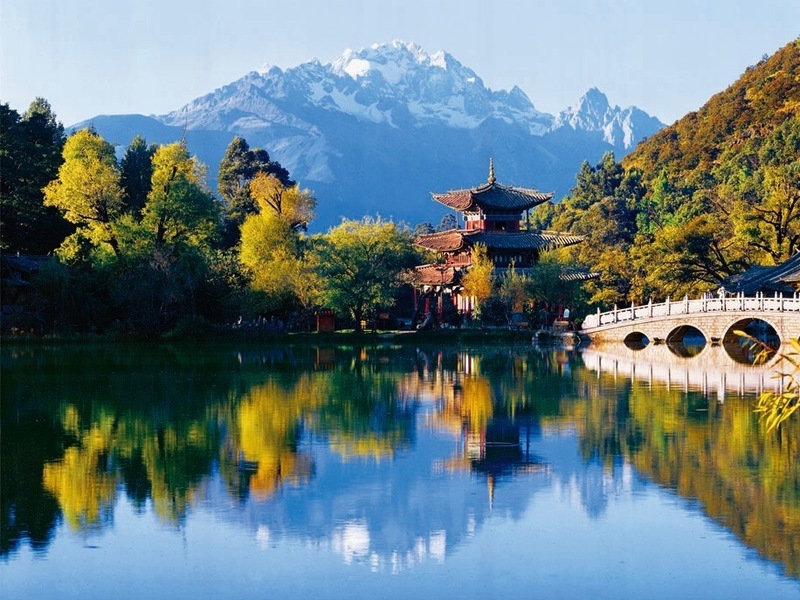 One of the most beautiful scenic spots in Lijiang – which is saying something – the extensive pool covers more 430,000sq ft and is home to a number of ancient buildings including a five-arch bridge and an adjacent pagoda. The impressive centrepiece, however, is Longshen Temple. Originally built in 1737, the temple is a frequent setting for flower and art shows. 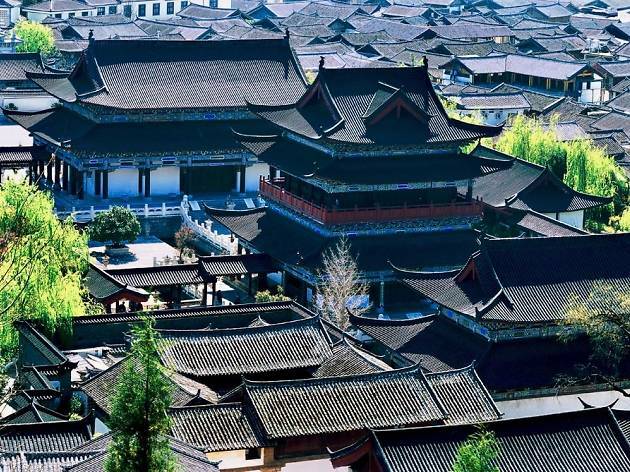 Nearby, on the banks of Black Dragon Pool, the Lijiang City Museum complex contains a huge range of exhibits relating to the various local cultures. In particular, this is a good spot to learn about the Naxi people’s way of life and customs. A small town north of Yulong Snow Mountain, Baisha was a centre of Naxi culture during the Song and Yuan dynasties. The quaint village’s most notable attraction is its collection of 15th century Baisha murals housed in Dabaoji Palace and other Ming dynasty buildings. There are 53 in total, which portray Buddhist bodhisattvas, Daoist immortals and Naxi shamans whose mingling in an ethereal afterlife reflects the Naxi’s sense of tolerance for different beliefs. If you’re searching for a more authentic, less touristy version of Lijiang Old Town, head to Shuhe. 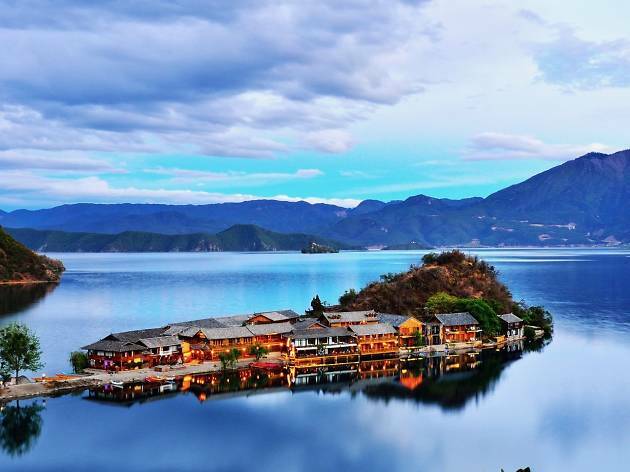 Located within forests four kilometres northwest of Lijiang, the town is nestled against the beautiful backdrop of Jade Dragon Snow Mountain (the Naxi name translates to ‘a village at the foot of a peak’). 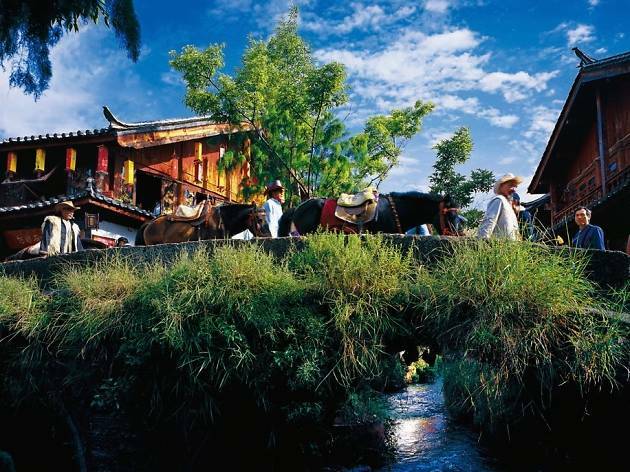 Points of interest to tick off on your visit include the Museum of the Ancient Tea Horse Road, Dragon Spring Pool and the ancient Qinglong Bridge. Steeped in Naxi mythology, Yulong Snow Mountain has been a holy place for centuries and long celebrated for its scenery and views. Yulong’s summit, named Shanzidou (扇子陡) or Fan Peak, unfolds 5,596m above sea level. Below the snowline stretch slopes carpeted with primeval pine forests, which turn amber and yellow in autumn. Beyond that, beautiful meadows unfold between trees where herders take their cattle, goats, sheep, and yaks to graze. 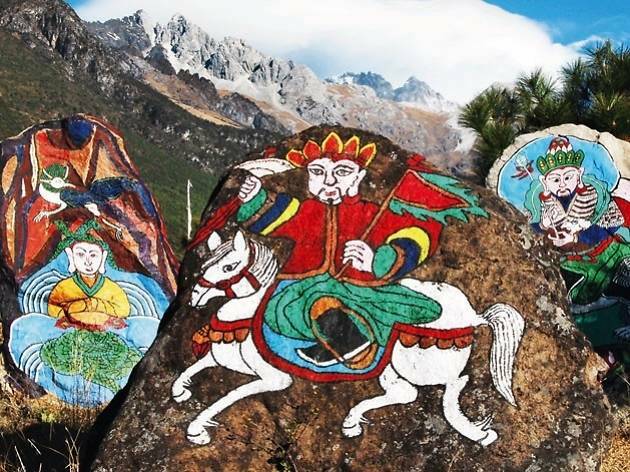 Dongba Valley is a cultural theme park located at the foot of Yulong Snow Mountain. Rated 4A for its scenery – that’s top stuff – the area features five courtyards which respectively display the characteristics of Naxi, Lisu, Pumi, Yi, Naxi and Mosuo ethnic minority people. This is a good place to discover the unique customs of some of Yunnan’s many ethnic minorities. Double down on this by wandering the central band of the street market, which exhibits folk arts and crafts of many other ethnic minorities. One of the most beautiful plateau lakes in China, Lugu is nestled in the roots of the Himalayas than span the borders of Yunnan and Sichuan provinces. It’s a fair trek from Lijiang, though, some 200km away and 2,690m above sea level. 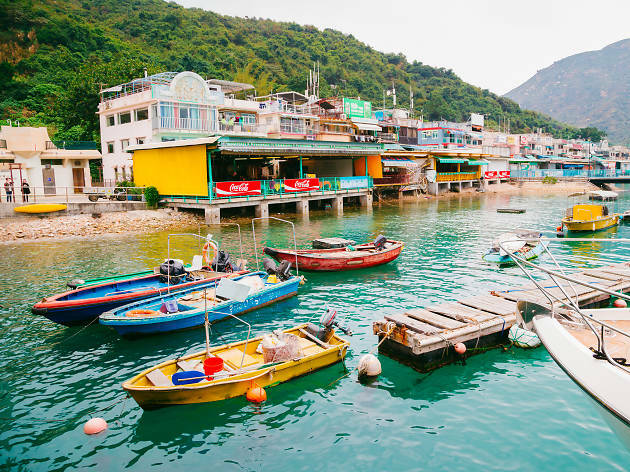 Flowers bloom around the glittering lake with its forested slopes, beaches and islands all set against a backdrop of the Xiaoliang Mountains. Inseparable from Lugu’s mystique is the fascinating culture of the Mosuo people who live on its shores and are known for retaining elements of a matriarchal society. One of the fascinations for visitors of a trip to Lugu Lake is the chance to encounter the Mosuo and learn more about their society, customs and way of life. 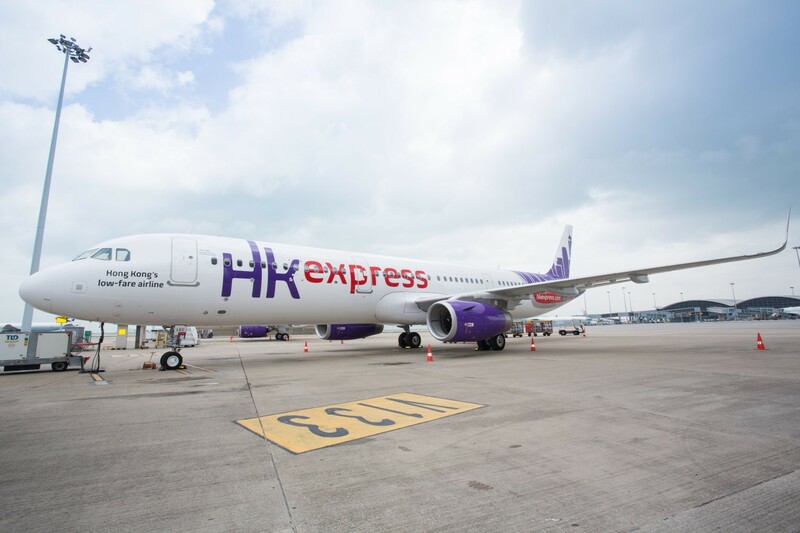 Hong Kong Express flies daily to Kunming, the provincial capital of Yunnan. Price varies according to season, but can be as low as $238 return. 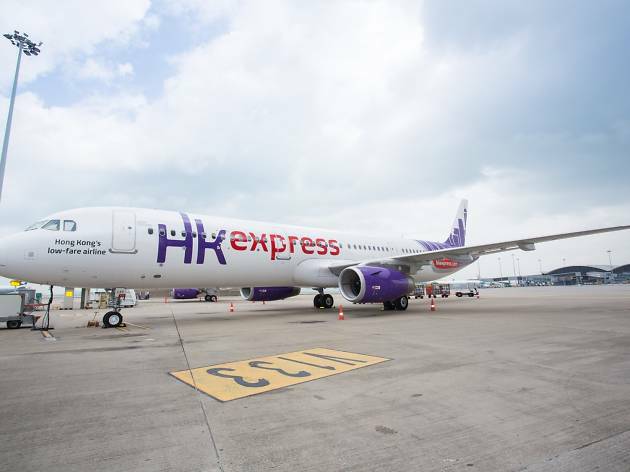 From Kunming to Lijiang can take eight hours by bus, so many take a second flight. We recommend going with China Southern, which charges around $2,000 for the one-hour journey. Don’t want to travel so far? Whether you fancy sipping beers on the sand or exploring ancient rock formations, there are a myriad of options for easy, breezy local getaways that only take a day.